Remember the Snapdragon 815 chipset that we told you about not long ago? According to rumors, this is supposed to be one of Qualcomm's future octa-core processors, allegedly running cooler than both the Snapdragon 810 and Snapdragon 801. But when will it be released? Well, it looks like "never" is the only viable answer to this question. According to Fudzilla, Qualcomm Senior Director of Public Relations Jon Carvill recently said that "there are no plans for a Snapdragon 815 processor." OK, so the Snapdragon 815 doesn't exist, but this doesn't mean the current SD 810 - used by flagship devices like the HTC One M9, or the Sony Xperia Z4 Tablet - will remain Qualcomm's flagship chipset for long. As announced earlier this month during MWC 2015, the company is getting ready to launch a new powerful CPU, the Snapdragon 820, expecting to start sampling it in the second half of the year. It remains to be seen if the SD 820 will be ready for devices to start using it before the end of 2015. Like the Snapdragon 810, the 820 is a 64-bit octa-core processor, and it will almost certainly power various high-end Android and Windows smartphones (and tablets). It's called the Snapdragon 818. That is why there is no 815. This just in: Qualcomm is calling it quits and conceeding to the almighty Mediatek, the 810 is their last processor ever, thus why there is no 815 in the works. It's conceding, not "conceeding" & my response to that is "lol". What happened to their increments of 200? all of the sudden they started going by increments of 5 and 10. 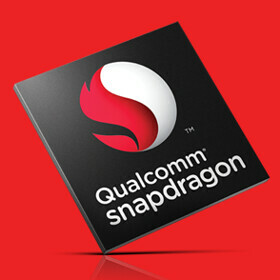 Snapdragon 900!! Calling it now. Mediatek coming out with A72 based processor this year, and may be hawai too. They should focus on improving their processors. Octa cores, octacores. Man, what a waste. Even a quadcores can runs a phone very smoothly if there's an optimization in the Soc. Build on 10 nm. Even a dual cores can record UHD video. What important is the GPU. Isn't it great, if a flagship can runs smoothly just on a quadcores chip ( 2 cores run at 1,5 Ghz and 2 others at 2,5 Ghz ), with 10 nm ( less heat, very ), but with a powerful GPU ? ?